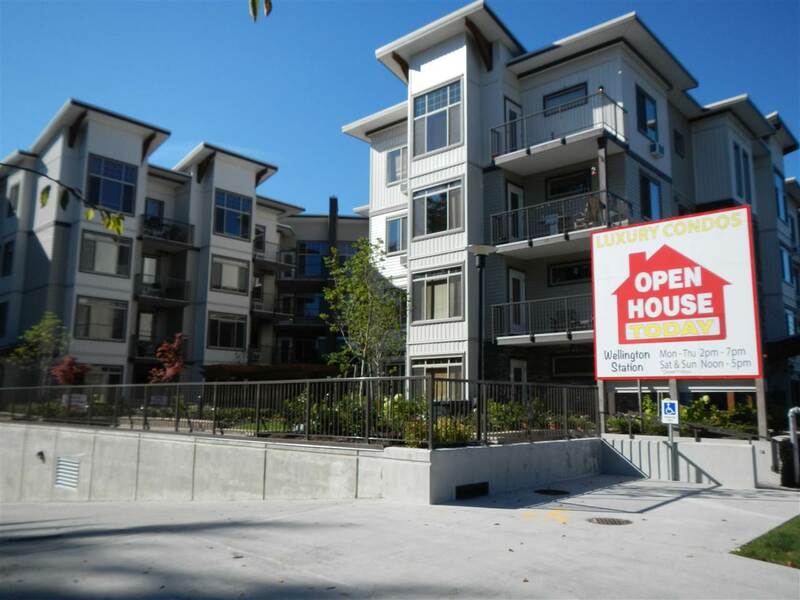 WELLINGTON STATION - Affordable luxury condos in Maple Ridge with plenty of built-in upgrades already included in the price! Deluxe kitchens with granite countertops and eating bar, gourmet under mount sink and Kohler faucet, real wood raised-panel cabinet soft closing doors and drawers, under cabinet lighting, and stainless steel appliances. Heated bathroom floors, heated fog-free mirrors in bathroom, real wood solid core fir doors in bedrooms and bathrooms, wood closet shelving, 9 foot ceilings, and full size front-load washer & dryer are just a few of the upgrades that are included in every unit. Ready to move in today.